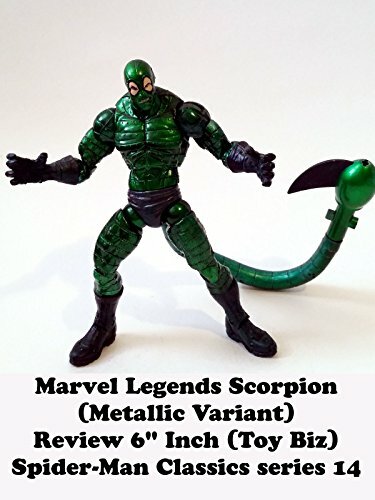 This is a SCORPION (metallic variant) Review and he was part of the Marvel Legends compatible Spider-Man Classics series 14 line. It was made by Toy Biz and features a metallic variant paint color. The original Scorpion had a light green and the mouth area not painted. This version has a metallic green paint and the mouth covered which is more true to the comic book look of the character.